As the bull-buying season gets underway, commercial cattlemen should do their home work to help ensure the bull(s) they purchase this year meet their needs. Like most things in life, preparedness is the key to making an informed decision. In this case, an informed purchase. Remember, bull selection accounts for more than 75% of the gene flow in your herd. Take the time to do the $500/hour work in bull selection and let some of the $5/hour work wait until after bull purchases are made. Before you crack open the sale catalogs of seedstock suppliers, there are few resources and skills you should possess. First, make sure you understand the use of Expected Progeny Differences (EPD) and selection indexes. While EPDs are not the only selection information you should consider, EPDs are the most effective tools available to describe the genetic differences between animals within and across herds. EPDs are much more effective genetic predictors than actual or adjusted performance records. If an EPD is available for a trait it should be used instead of an animal’s own performance record for that trait. The EPD removes age and environmental effects that can bias a decision based on actual or adjusted performance records. Use Calving Ease (CE or CED) EPD, rather than birth weight (BW) EPD, if it’s available to select bulls that minimize calving difficulty. CE EPD calculations include BW data and other sources of information that affect dystocia. Not all EPDs are the same, so make sure you know the appropriate information for the breed of cattle you are purchasing. 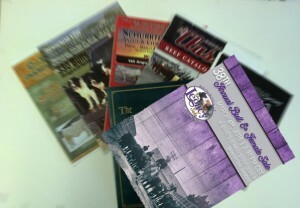 For a useful reference on EPDs and other genetic topics see the Beef Sire Selection Manual (http://www.nbcec.org/producers/sire.html). Obtain the breed average EPDs and a percentile rank table available from the most current genetic evaluation for the breed of interest. Percentile rank tables can be found on most breed association websites. These tools will enable you to compare the relative genetic merit of individual animals to other animals in the breed. Second, make sure you know what traits you would like to improve in your herd. What breed(s) fit in your mating system? If you are using a crossbreeding system make sure the breed you selected fits your objectives. Other factors to consider are source of replacement heifers and endpoints for progeny marketing (weaning, back-grounded or in the beef). Assessment of these factors will help point you to the best breed for your needs and the combinations of maternal/growth/carcass traits that best fit your operation and environment. Be sure to apply selection to traits that have direct economic importance in your production system. Third, set a realistic budget for bull purchases. Like most things in life, price is driven by quality. Evaluation of a seedstock supplier’s prior year sale averages will give you an idea of what to expect in terms of purchase costs. A good rule of thumb is that a quality seedstock bull costs roughly the same as the value of 4-5 feeder steers in the current market. The purchase cost highlights the importance of making a well thought out decision. Fourth, get to know your seedstock supplier and make sure he/she knows you and your operational goals. Seek out recommendations from your supplier well in advance of the sale. Once you receive the sale catalog make a short list of bulls (roughly three times more than you actually need to purchase) that fit your specifications. Arrive at the sale site early to inspect the bulls on your short list. Shorten this list of candidates based on conformation and updated data to identify your purchase candidates. Keep the sale order in mind. Stay focused on the bulls you selected earlier. Sticking to your plan will avoid impulse purchases. Remember: Failure to plan is planning to fail. Please contact your extension livestock specialist or me if you need help finding resources to aid in your sire selection activities. Very eye opening. The calving ease is the real punchline. I have observed bull buyers focusing on current exposition of the bull to decide…..
I’m retired now but when buying bulls I used EPD’s extensively. It is well worth the time and effort to learn how to use them and understand the use of different traits. The method I used was to identify the top 5 priority traits I wanted in the bull. For example if raising replacement females those would be the maternal traits while if raising feeder calves the focus would be the growth and carcass merit traits. Then I would identify all the bulls in the catalog that met my criteria and a budget for them. How prep can pay off? I bought a bull once that was one of a group of about 10 peers who had nearly identical genetic scores. Someone must have gone to the bathroom or snack bar while my bull was in the ring because I got him for about 40% below his peers who sold before and after him and he was one of the best bulls I ever bought and had a huge impact on the quality of our herd.